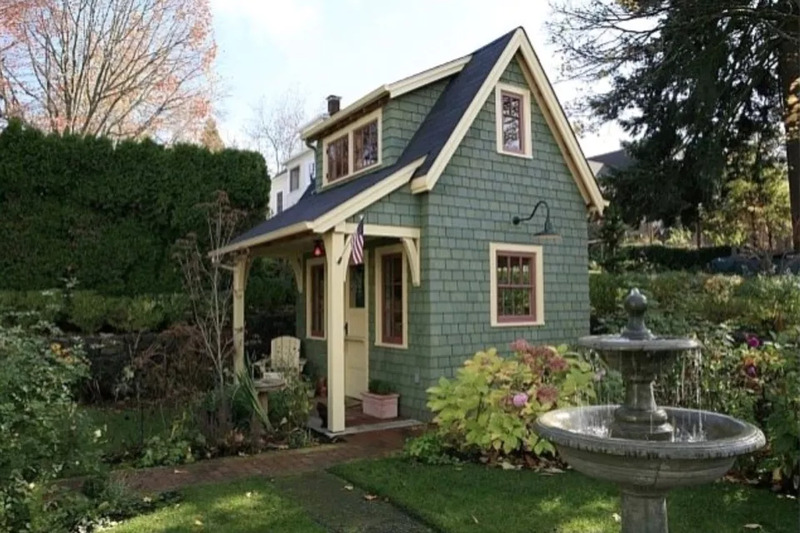 Accessible via a path or the alley, an old-fashioned looking garden shed in the Eugene, Oregon, yard of architect David Edrington is tall and narrow with lots of details. Designed by Edrington, of course, the shed features a front porch, a door and 11 windows painted to match other architectural elements and trim, and exterior shingles. 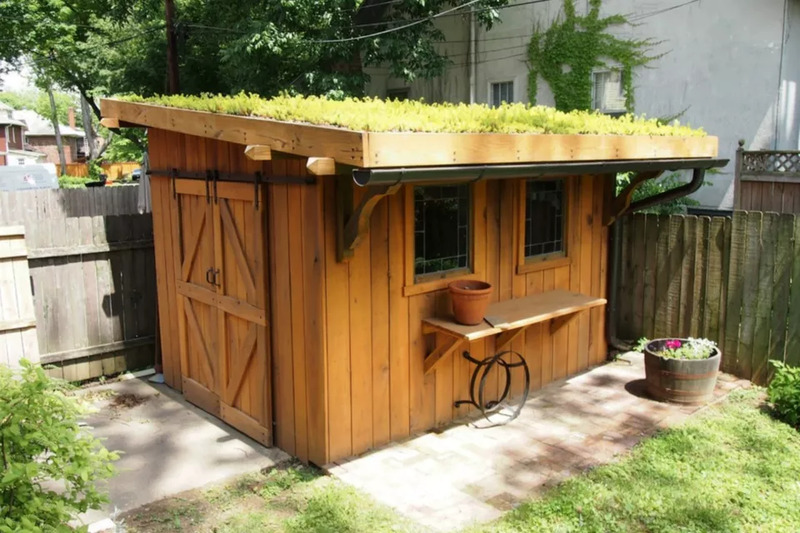 A wooden shed in Louisville, Kentucky, built by Graham Design and Construction sports a lovely green roof planted with sedums, a type of succulent. A rubber roof membrane was installed prior to planting the growing medium and plants. Without its protection, the roof would rot.